Cryptocurrency derivatives marketplace, Delta Exchange has launched the World’s first stablecoin-settled futures on bitcoin and leading altcoins. (3) enjoy lower trading fees. However, most crypto futures exchanges accept margin only in bitcoin. This means regardless of what crypto a trader is betting on, she is long bitcoin. Delta Exchange is removing this limitation by pioneering crypto futures that are margined and settled in USDC. USDC is a stablecoin that is pegged to the US Dollar. Consequently, USDC settled futures are quite similar to US Dollar settled futures. In a futures trade, margin serves as collateral. The profit/ loss from a trade will either add to or subtract from the margin. When margin is in bitcoin, then the dollar value of the margin changes due to both trade profit/ loss as well as bitcoin price. Since most traders think of their net worth in dollar-terms, the impact of bitcoin volatility on margin value is usually unwanted. Keeping margin in USDC solves this problem elegantly as only the trade profit/ loss impacts the trader’s net worth. Stablecoins have already revolutionized spot cryptocurrency trading. The market share of crypto to crypto trading was miniscule before the introduction of USDT. The exponential increase in USDT market cap and USDT pairs trading is a testament to the intrinsic demand for stablecoins in crypto trading. Delta Exchange believes that introduction of USDC-settled futures will address this need in crypto futures trading and will provide a major fillip to cryptocurrency derivatives trading. Delta Exchange offers USDC settled futures for bitcoin (BTC), ether (ETH) and ripple (XRP). The prices of these futures contracts are in US dollars, but the margining and settlement currency is USDC. Delta Exchange allows only bitcoin deposit and withdrawals. However, traders can change BTC to USDC in a couple of clicks using the ‘Currency Converter’. Even those users that are trading BTC-settled futures contracts can avoid bitcoin price volatility by converting their non-trading BTC balance to USDC. Delta Exchange is a marketplace for trading of cryptocurrency derivatives. The exchange currently lists futures on bitcoin (BTC), ether (ETH), ripple (XRP) and stellar lumens (XLM), that allow up to 100x leverage and are settled in USDC or BTC. The founding team of Delta Exchange has worked with Wall Street firms like Citigroup and UBS and has raised money from the likes of Softbank and Sequoia for their prior ventures. It will be interesting how the market reacts to stablecoin futures and if Delta Exchange has cracked the secret to challenge the big fish in the crypto derivatives space. 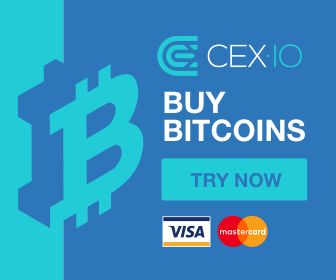 100% first deposit bonus: Delta exchange is currently offering up to 0.01 BTC deposit bonus to traders on their first deposit. This deposit bonus is paid out automatically and can be used as margin for trading. Details of the deposit bonus offer are available here. Delta Referral Program: Delta Exchange offers the best referral program when compared to other cryptocurrency exchanges. The referrer gets 25% for 1 year and 10% for lifetime on commissions of his referrals. The referred users enjoys 15% off on trading fees for 6 months. Complete details of the referral program are available here. The post Go Long or Short Bitcoin Using USDC On Delta Exchange appeared first on The Merkle Hash.